NEW YORK, July 7, 2016 – Unprecedented demand for Cleveland Cavaliers merchandise following the team’s NBA Finals 2016 win helped land them atop the most popular team merchandise list for the first time since January 2015. 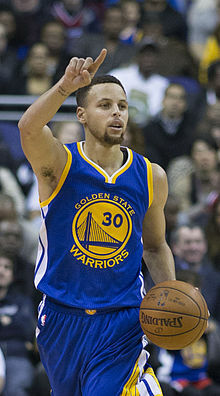 Reigning back-to-back Kia NBA MVP Stephen Curry once again tops the league’s list of most popular jerseys, a position he’s held since the end of the 2014-15 NBA season. Rankings are based on overall sales on NBAStore.com from April through June. The Warriors’ Andre Iguodala (No. 14) makes his debut on the jerseys list while teammate Draymond Green (No. 7) earns his highest ranking ever. The San Antonio Spurs’ Tim Duncan (No. 11) and Portland Trail Blazers’ Damian Lillard (No. 13) place for the first time since June 2015 and April 2015, respectively.